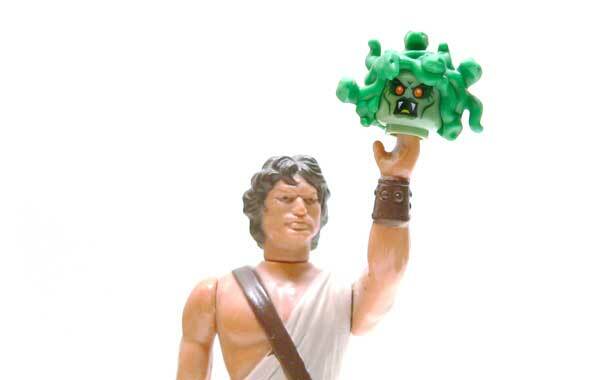 In grade school, we studied mythology in one of my classes. All sorts of mythology from Norse to Greek. I remember during that time begging my parents to take me over to my public library to find books on Greek myths. (I was geeky even back then.) Around the same time Clash of the Titans was released in theaters, and all of those creatures won a permanent place in my heart. 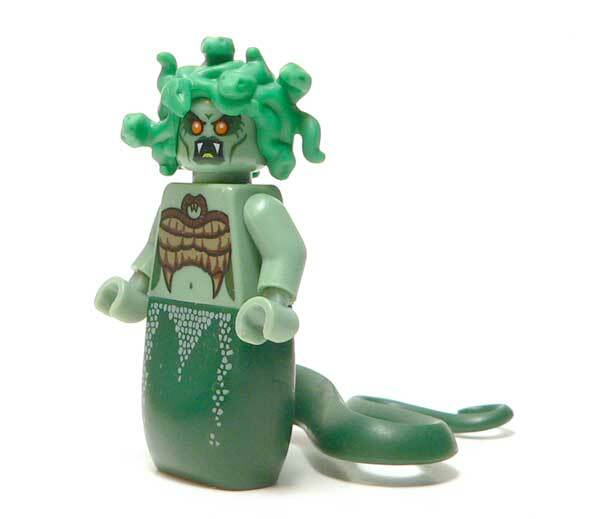 When I saw this Medusa was being released, I knew I had some time ahead of me in the toy aisle feeling Lego packages. I have to say it was worth it. 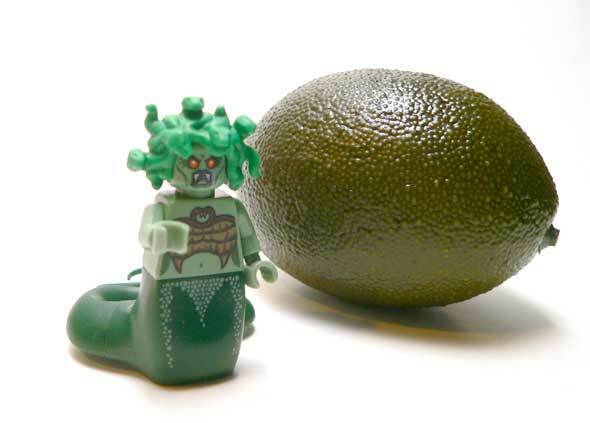 This is a pretty good representation of the Clash Medusa. Obviously, she has been Lego-fied here. But the burning eyes really sell the Medusa look. The snake hair piece that tops the head is perfect. Honestly, her head would turn another Lego figure to stone. 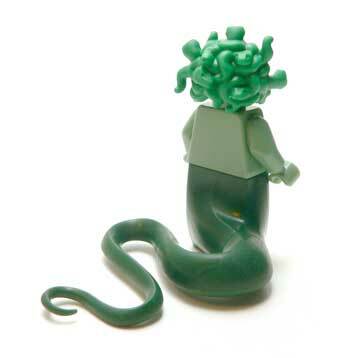 While she doesn’t come with any accessories, Medusa has a special lower piece. Instead of legs, she has a snake tail. While it has the Lego look, it’s done well and there is no mistaking that it is serpentine. There’s even some painted scales on the front of the piece. If you are looking for her in the store, this is the piece you are feeling for. More than likely, you will feel the rectangle at the top. Yup, I like her. Medusa really makes me think back to reading about mythology as a kid. She’s well thought and executed. I’m really glad I took the time to sift through the packs to find her. I suspect some of these may end up being used to make custom GI Joe Kreo Globulus figures. Yup, that would work. That is one awesome Gorgon. I will definitely be on the look out for one.